For humans as well as for animals, getting old is a time when no one wants them unless they have a loving family. You are no longer that cute young and bouncy dog. And maybe your doggie looks have gone, your coat may not look like it used to, you may not have many teeth, and, as for your legs, well, they may not be the best in town. But there still is life in the old dog yet. Each year hundreds of old dogs are abandoned because they are just old and no longer cute puppies. Adopting dogs and other animals in their golden years (older animals) has advantages. 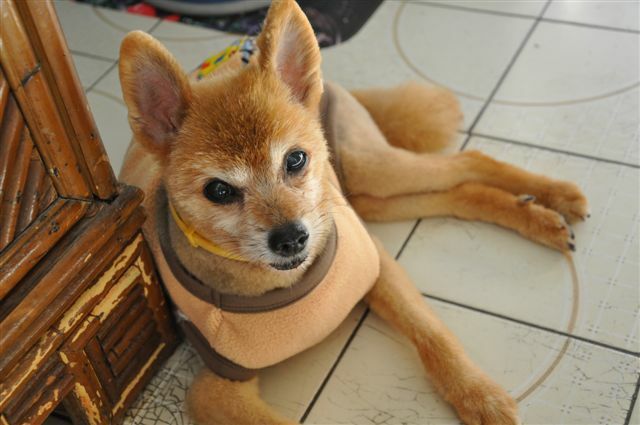 If you are only in Hong Kong for a limited time, or are uncertain as to how long, then adopting an older dog can be ideal as it will give you a faithful companion, and you have given a few more years to an old dog’s life. Older animals do not need as much exercise as a young dog, which means long walks are not necessary; and, because they sleep more, they are often a lot quieter than younger dogs, which can make them better in flats and for working owners. With older dogs, their characters have formed, so you know the temperament of the dog when you get him or her. Going to the vet is mainly for the yearly check-up and routine vaccinations and triennial licensing. On the whole, older dogs can be a lot healthier as they have usually got over the problem stage of high susceptibility to puppy infections. Regular trips to the doggie groomers for a wash and blow-dry make them feel and look good. As with puppies, some may need a special diet, but most pet food companies have them readily available, so that is no problem. House-training can often be a lot easier than training a puppy. It is usually a matter of showing the dog the position of his new toilet; it may take a little time but they soon get it. Cataracts (clouds lenses in older dogs which blur vision) are fairly easy to handle: you just don’t move the furniture around, and, if you occasionally do, you let your dog know by walking him/her around the new positions of the furniture.